The City of New Orleans has been recovering from Hurricane Katrina since 2005 and the North Terminal Project at Louis Armstrong New Orleans International Airport is one of the most visible symbols of the rebuild and investment in infrastructure of this ‘World-Class City’. While the pre-Katrina population has not quite returned to New Orleans after 12 years, the travelling public has returned. Chris Spann, Programme Manager at Louis Armstrong New Orleans Airport, talks us through the complexities of the major construction project to build a new North Terminal to accommodate the airport’s rising passenger numbers. In 2016, New Orleans broke its visitor record and the number of passengers processed through the airport hit a record high. This increase, fuelled by a local strategy of targeting convention business and leisure travellers, has been a boon to the local economy but created challenges to the airport and the team building the new terminal. In 2013, the Aviation Board decided to move forward with the North Terminal project. The existing terminal, built in the 1950s, saw many updates over the years and enjoyed a major makeover prior to the 2013 Super Bowl, but the aging structure was beyond repair. Decentralised checkpoints led to inefficient use of space and resources, limiting the flexibility needed for passenger transfers. The location of the concessions in relation to the checkpoints limited non-aeronautical revenue and passenger convenience. Based on passenger growth forecasts and the airport’s master plan, a plan for a new 30-gate terminal, located on the north side of the airport was advanced. 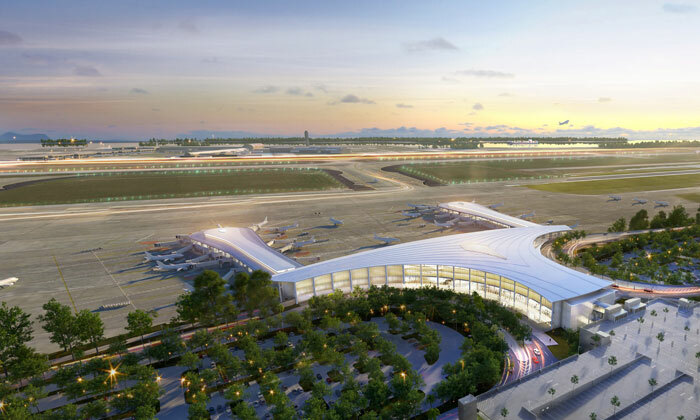 Design of the iconic terminal, conceived by architect Ceasar Pelli and executed by the Crescent City Aviation Team, began in 2014 and was scheduled to open in October 2018. To meet tight construction and cost parameters, a Construction Manager at Risk (CMAR) delivery method was selected. This presented the first challenge to the programme. At the time, CMAR was not legal in the State of Louisiana for public works projects. The airport and the City of New Orleans partnered with local legislators to pass a bill that allowed this delivery method specifically for this project. With the legislation in place and the design proceeding, the airport solicited and selected a CMAR. The contractor, a joint venture of Hunt Construction and three local construction companies, began preconstruction services in late-2014. 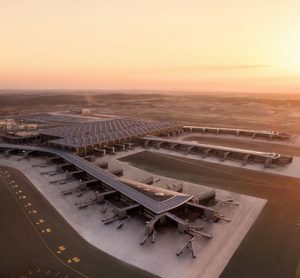 For almost a year this joint venture worked closely with the airport, the Programme Management team and the design team to ensure constructability, budget and schedule were all within reach. As a result, a construction contract was negotiated and construction began in January 2016. Six months into construction, the airport acted on its increasing passenger growth and the city’s record breaking visitor numbers. A revised forecast was developed, and resulting analysis confirmed that more than 30 gates would be required to accommodate the level of traffic that was anticipated by opening day. Additionally, the original plan for the terminal did not anticipate wide-body aircraft. The updated projection included plans by two carriers to utilise 767 and 787 aircraft: British Airways from London and Condor from Frankfurt. 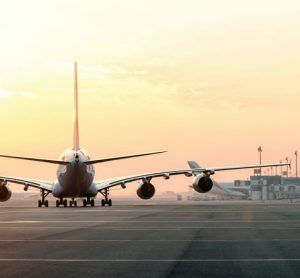 After significant stakeholder engagement, the airlines and the airport agreed that a 35-gate, 980,000ft2 facility would meet the forecasted needs through to 2025. This was the most economical solution and would meet the new requirement to accommodate two simultaneous international wide-body aircraft. While the design envisioned an initial phase of 30 gates on two 15-gate concourses, two additional six-gate concourses on either side of the main terminal were planned in subsequent phases. Without stopping construction, the design team developed plans for one of these future concourses. Once plans were complete, a change order was negotiated and Concourse A was added to the project. However, this additional work was not able to be completed until four months after the original October 2017 opening date. This presented another challenge. To accommodate a larger baggage makeup area needed for the additional gates, the Federal Inspection Services facility was relocated into Concourse A, which would not be completed by opening day. Until Concourse A was complete, international flights would have to be accommodated at the existing south terminal. After working with the stakeholders, it was determined that, rather than open the main terminal in October 2018 and split operations between the north and south facilities for four months, it was better to delay opening until completion of the entire facility in February 2019. In addition to the challenge of unexpected growth, legal constraints, and the mid-course design changes, access and soil conditions presented major physical challenges. The new North Terminal is being built on the north side of the airfield. While closer to Interstate 10, there are no flyovers in place that would allow direct access to the new terminal from the highway. All access will be through existing surface roadways that are already congested during morning and evening peaks. The Louisiana Department of Transportation and Development has plans to build an interchange, but it will not be completed for another 10 years. Consequently, the airport is working with the State, the Federal Aviation Administration (FAA) and Cities of Kenner and New Orleans to improve the existing surface roads to ensure that adequate access is available for the opening day. The soil in the New Orleans area is notoriously challenging. The site of the new terminal was at one time a swamp, with nearly 100 feet of organic soils. Settlement of the soils due to construction activities was anticipated to be nearly three feet. To mitigate the effects of this settlement, the terminal is built on over 7,500 piles averaging 105 feet in length. The cost of supporting all the pavement on piles was prohibitively high. To force that settlement to occur early, the paved areas were surcharged with 2.5 million tonnes of sand and 3,200 miles of wick drains. It took almost a year of night deliveries to bring in all the sand, one truck at a time. Once placed, the surcharge was left for nine months. Even with this significant surcharging, once paving started, slight settlement continued. Additional challenges included the completion of several enabling projects. These enabling projects included the relocation of the airfield lighting vault as well as the relocation of an airfield surveillance radar and two remote transmitters/receivers. For these relocations, the airport worked very closely with the FAA, completing the projects in less than 30 months. Because Louis Armstrong New Orleans International Airport is only one foot above sea level, a $25 million pump station was recently completed, capable of pumping storm water from the airport at a rate of 600 cubic feet per second. Currently, construction of the North Terminal project is moving forward and is approximately 50 per cent complete. The foundation work is in place and for the base terminal and concourses, the majority of the slabs have been poured and the steel erected up to the roof. Exterior cladding is beginning to be installed and the curtain wall has been delivered to the site. Once the building has been enclosed, the interior work can begin in earnest. Outside of the terminal, the two Central Utility Plant buildings are nearing completion and the elevated roadway is 60 per cent complete. The new 2,200 space parking garage is scheduled for completion in spring 2018 and airfield paving began in September 2017. Monthly aerial photographs track the progress as the once empty site transforms into the new front door welcoming visitors to New Orleans. With construction well underway for an on-time opening, the airport has started planning for the transition from the existing terminal to the new one. Operations will transition to the North Terminal overnight. This is a significant logistical and operational challenge which is being orchestrated by a consultant that specialises in Operational Readiness, Activation and Transition (ORAT). Seven years of planning, design and construction will all come down to the execution of this one-night exercise, with no room for error. Every stakeholder from U.S. Customs and Border Protection, Transportation Security Administration, the airlines, airport operations and concessionaires must ensure their people, training, equipment, and procedures are in place for the opening day. 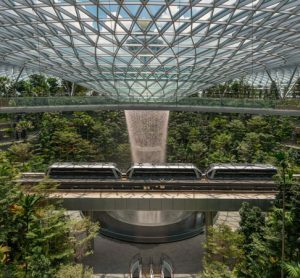 The opening of a brand-new terminal is a once-in-a-generation event for the community. The North Terminal will be the modern, iconic facility that is needed to not only continue to accommodate business travellers and tourists currently coming to New Orleans, but to propel New Orleans into the future. Airport passengers will experience New Orleans culture through food, music, art and design. A state-of-the-art in-line baggage screening system will efficiently process checked bags away from the public eye. A 17-lane centralised security checkpoint, as wide as a football field is long, will improve passenger through-put and allow free movement to all gates. 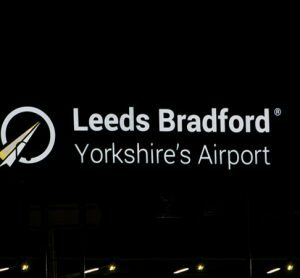 An exciting mix of local and national brands will be featured in the new terminal, ensuring a superb customer experience with locations dispersed throughout the terminal. Unprecedented growth, unanticipated project expansion, poor soils, compromised access, significant enabling work and an extremely challenging overnight transition are part of the day-to-day challenges. Hundreds of people have spent many years working to bring this $994 million terminal project to life. 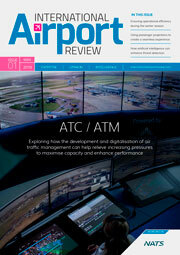 Chris Spann brings extensive technical and operational knowledge of airports from over 30 years of experience. Most recently he has been working at Louis Armstrong New Orleans International Airport, serving as Programme Manager for the $994 million terminal replacement programme. Chris has been working closely with the New Orleans Aviation Board in managing the planning, design, construction phasing, and construction management. 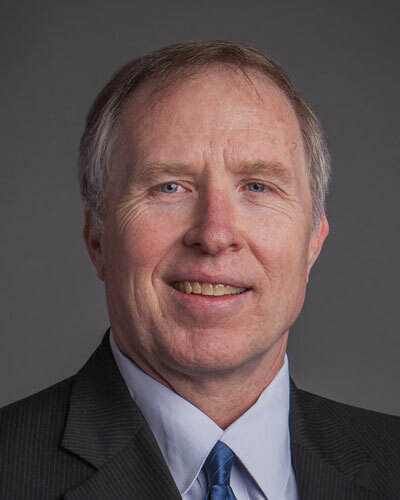 Additionally, Chris has an extensive background managing runway and taxiway projects across the United States including project work at LaGuardia Airport, Atlanta Hartsfield-Jackson International Airport, McCarran International Airport, and Chicago O’Hare International Airport.